OctoMaple - A Month of Treats in 2018! Happy OctoMaple! Remember this time, last year? We held our very first run of OctoMaple back then! And this year, we are bringing back OctoMaple to fill the fun this October! As with last year, there will be many activities and a Lucky Draw at the end of OctoMaple. The more activities you participate in, the higher your chances of winning our lucky draw prizes! Each activity will award a certain amount of points, so get ready your masks, collect OctoMaple points, and #mapleseahallowoots away! Check out the respective sections below to view more information regarding each activity! So many choices, which to wear? • Post a picture of your in-game character with the costume on the relevant event post with your IGN and World. • The main theme capture the essence of Halloween, subject to each individual's interpretation! • If a winning entry is accused of plagiarism, the participant shall forfeit his or her entry and at the same time bear legal responsibility for the plagiarism. This rule shall also apply to all other submitted entries who are found guilty of plagiarism. • Comments or discussion not pertaining to the contest posted up may be deleted at the administrator's discretion without warning. • All decisions by Asiasoft Online and Nexon Corporation are final & binding. • Asiasoft Online and Nexon Corporation reserve the right to edit or change any of the above without prior notice. Wait up, is this a horror movie cliché? HOW: Keep posted on our Facebook Page & identify the sounds! What's that sound? Did you hear that? It's so spooky~ Keep your ears sharp and test your knowledge on what exactly is making that sound, or play detective and sleuth it out! • Post your answer and a picture of your character with the correct answer on the relevant event post with your IGN and World. • Should there be no correct answers, there will be no winners. • All participants will be awarded 50 Octopoints (max 1 submission per person per post. • 1st 5 users to post the correct answers for each post will be awarded 200 Octopoints each! • All submissions must be submitted in the fixed format in the appropriate Facebook post. • Comments or discussion not pertaining to the content posted up may be deleted at the administrator's discretion without warning. Keep an open mind, and a map in hand. 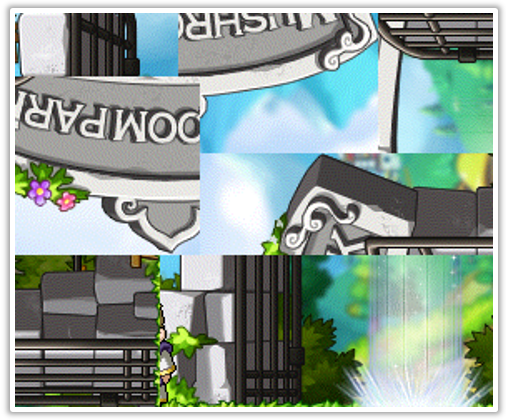 Put your knowledge to the test with Maple World images coming out all funny and distorted! Images can be distorted in any form, and it's up to you to look past the distortions and identify the map! • Images can be distorted in a variety of ways and will not be limited to one form of distortion. • All submission must be submitted in the fixed format in the appropriate Facebook post. With Halloween coming soon, everyone will need costumes! Now you have more reasons to spend @cash during this period to collect Octopoints! • Spend more than or equal to 150k @cash to be entitled to 200 Octopoints, and an additional 50 Octopoints for every 50k @cash spent! 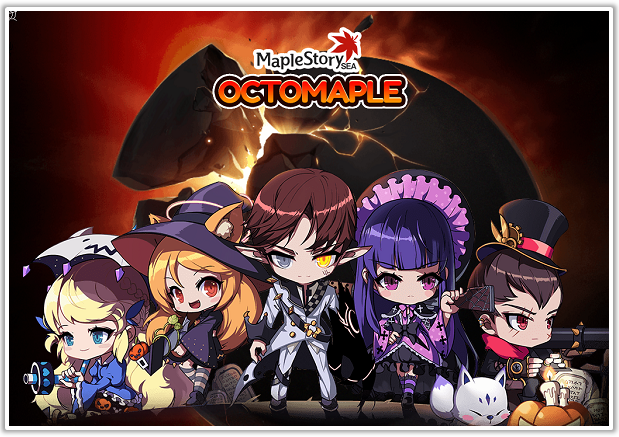 • Only @cash top-ups & conversions in MapleStorySEA between 1 October 2018, 0000hrs to 4 November 2018, 2359hrs will be eligible for this event. • Only pure @cash spending will be counted towards the collection of Octopoints. Treat? Nope. Just tricks, hehe! • The season of giving might have come slightly too early, for we have heard that players that display good sportsmanship or even managing to spook the GMs out will receive additional Octopoints! How easy is that? • Keep an eye out for Lucky Channels posted with Who's There?! and Mind over Mapper events on Facebook to increase your chances of meeting the GMs! • Psst, participation is not just limited to being in the same map as GMs. Special actions can also award you with 50 Octopoints! • Players are reminded to be on their best conduct, and any breach of the Rules of Conduct may result in actions taken against the player according to the User Abuse Policy. Come on down for a great day out with spooky fun! HOW: RSVP for the event and come on down! RSVP here now! 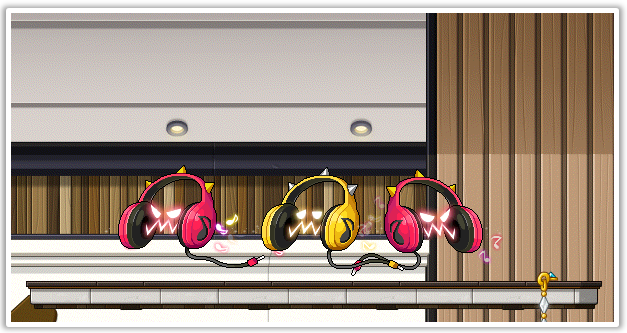 Join CM Venshi and the rest of the MapleSEA community to celebrate Halloween with tons of fun-filled activities planned out for you at The Pantheon One City, Malaysia! Attractive prizes are to be won! Not convinced? Here's what we have planned for the event? - Stage games such as Cosplay Catwalk and Trick or Treats! Tickets are limited, reserve your slot via eventbrite here and join us this MapleSEA Hallowoots! Psst.. you get a lot of Octopoints for coming down, including the chance to earn more! HOW: Collect Octopoints for a Lucky Draw Chance! We have prizes to be won! Collect Octopoints for Lucky Draw chances! What are Octopoints, or OctoMaple points exactly? • These are special points that are given out only during the OctoMaple event period, and are used to exchange for lucky draw chances. • Every 50 Octopoints collected equates to 1 Lucky Draw chance! • Points are added and tabulated by the system for every activity that you choose to participate in. • The more OctoMaple points you get, the more chances you obtain to walk away with our Lucky Draw prizes! • Draw will be held after tallying each individual's Octopoints. • Asiasoft Online Pte Ltd and Nexon Corporation reserve the rights to make any changes to the above stated event and promotion without prior notice.